Even modernised and tweaked, at three and a half hours, Man and Superman is still GBS at his most loquacious, a comedy of manners within which he placed a third act, Don Juan in Hell, as a mischievous debate between the pros and cons of Heaven and Hell. 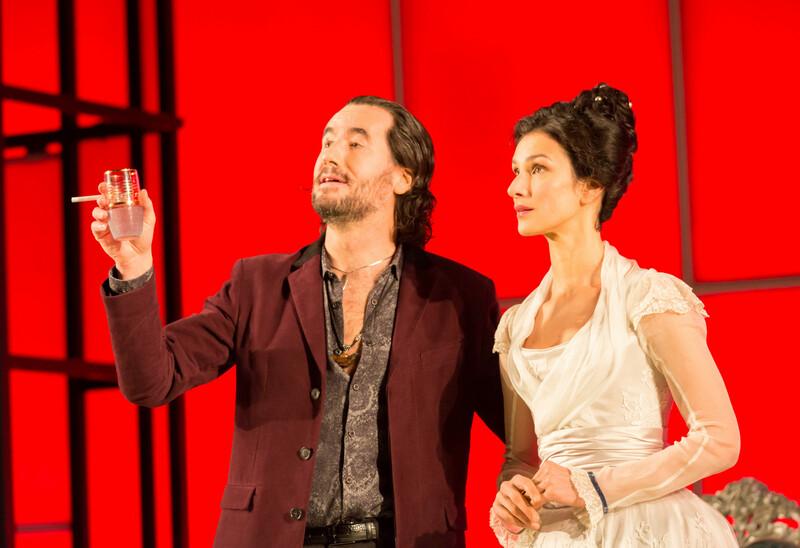 Though Hell evidently offers far more fun, it is to Heaven that Don Juan/Tanner returns – Heaven being a synonym for a sense of direction and purpose in life, Hell a lack of it. Sometimes Man and Superman appears sans this third act philosophical `intermission’ with its nod to Nietzsche’s Ubermensch. The fact that the National and director Simon Godwin have chosen to include it places an extra burden on the actor playing Tanner but in the NT’s case, they are blessed with Ralph Fiennes in galvanic form (ably abetted by Tim McMullan in the double act of the Devil and Mendoza, a bandit leader). 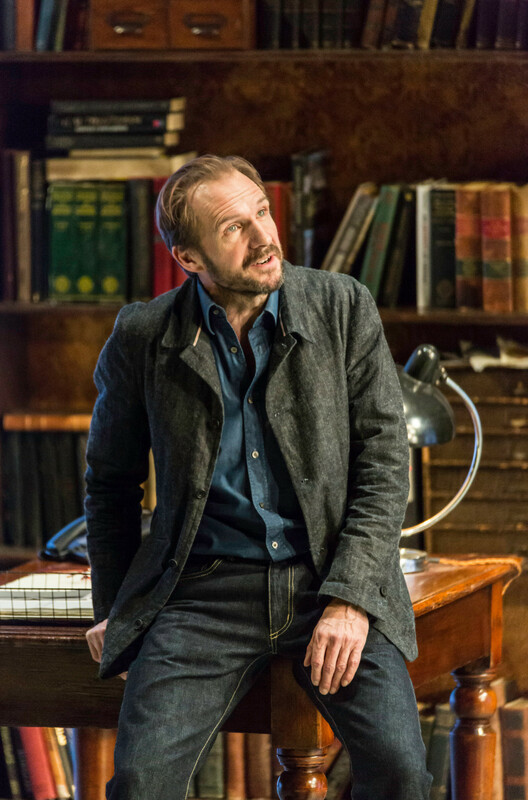 Fiennes inhabits Tanner, the anarchist and reluctant target of Ann’s marital designs with splendid energy and relish. Tanner is a rogue, a confirmed batchelor with a decidedly dyspeptic view – one might almost say misogynistic – view of women. Habitually seen as a pioneering feminist work, it’s hard to believe set against Ibsen’s A Doll’s House. Written 30 years earlier, Ibsen’s drama strikes a keener blow for female independence with Nora’s departure than M&S where GBS’s insistence on woman driven by an insatiable Life Force to ensnare men for pro-creation is amusingly, inventively if simplistically reiterated ad nauseam. That said, Godwin’s M&S is entertaining enough as a spirited battle of the sexes (with Indira Varma as a perky match for Fiennes’ protesting Tanner) whilst also realising Shaw’s more sombre thoughts on Man the destroyer and his aspiration for evolutionary advancement.